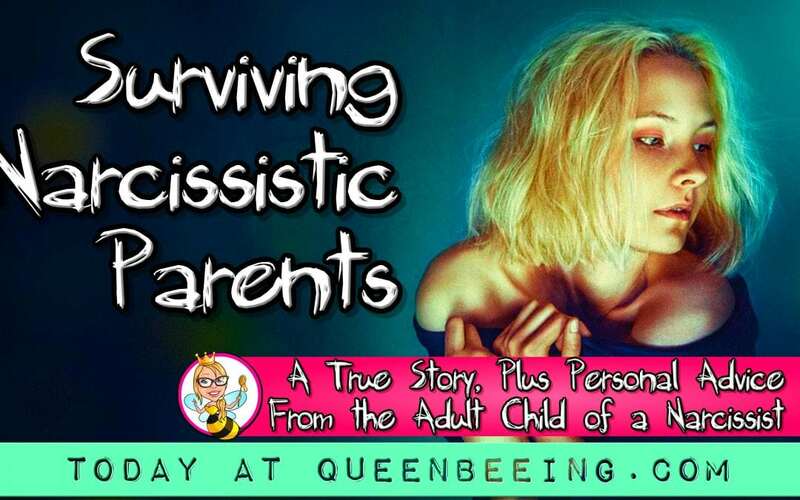 Guest Post Written By Ivy K.
I’m a narcissistic child abuse survivor. This type of abuse is nearly impossible for a child to explain. I’m an adult, and I still cannot explain it to a person. This is what it sounds like, this is an example of why it’s impossible to tell another. Think about those two quotes, they are very similar, only one is coming from a child who is being abused. I can easily see how the comments wouldn’t stick and fly over somebody’s head. Professionals such as social workers, guidance counselors etc. – they just don’t get it. They do not understand that No Contact is the only way to handle narcissistic abuse. I have been asked to speak to my abusers and again and again, only to open the door to more abuse because these professionals have no training. 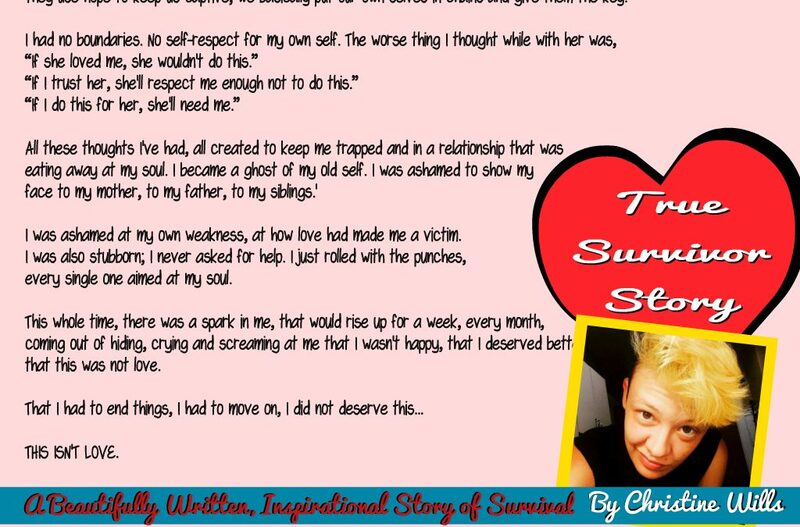 I tried to tell people I was being abused at age 16. 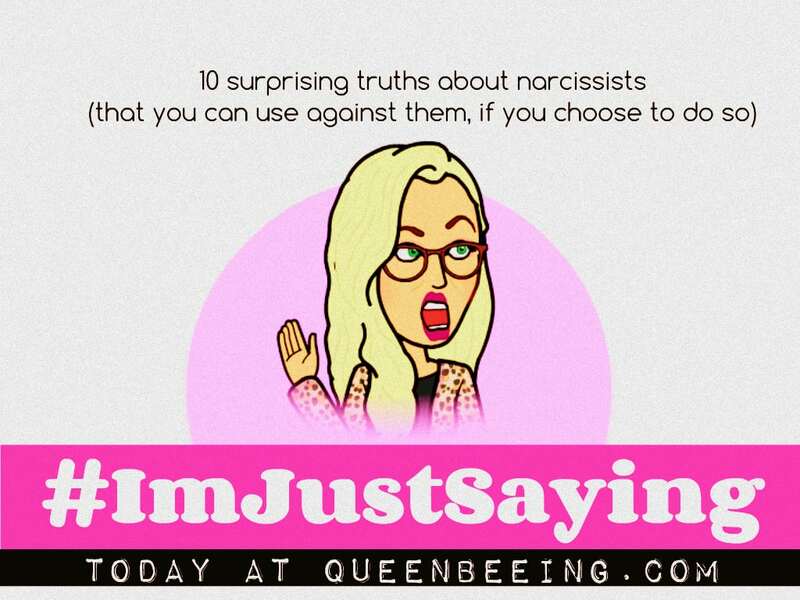 Unfortunately, because of the nature of a narcissist, nobody believed me. 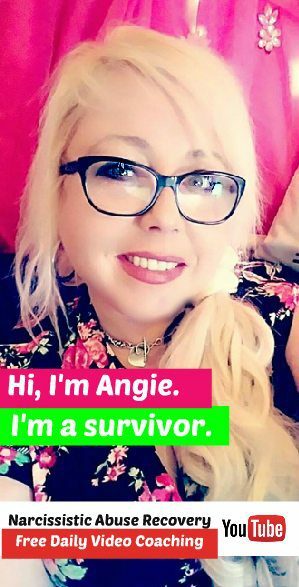 So, by the time I was 17, after many years of enduring the abuse I had a nervous breakdown and was sent to a mental health hospital. I missed a lot of school. I shouldn’t have graduated with my class. Yes, before anything else, I had Pearl Jam lyrics to let me know I wasn’t alone. Their lyrics seemed to zero in exactly on this unexplainable invisible abuse. I knew something was wrong when I was very young. …. I’m talking age 7. And then, Pearl Jam came along and a lot of their early lyrics validated my feelings. I didn’t know the abuse had a name until much later. When the abuse is at its worse, it feels like they secretly want me dead and they’ll do a real good job of nearly killing me without laying a single finger on me. On a good day, I know their script. I know exactly what they will say before they say it and I’ll have to concentrate hard to keep from rolling my eyes and/or busting out in laughter. The setup is backward when it comes to toxic parents. The adults are to be the center of the child’s world – not the other way around. You are to know what they want before they know. The moment you stop making them the center of your universe, they no longer have any use for you. If you wait it out, they’ll forget about you all together. Neglect is easier than the abuse. You want to be neglected by your parents. To borrow from Dr. Phil, your parents are not A Safe Place To Fall. Meaning you know not to go them for advice or for life skills, such as what to do when your car battery dies or how to replace a clapper in the toilet, etc. Something simple turns into a stressful dramatic ordeal, because of their need to make it about them. I’m assuming many who have survived narcissistic child abuse don’t know how to build a healthy and safe circle of support to go to when simple life advice is needed. Related: Get support in our free online support group for narcissistic abuse recovery. There’s another part to this. 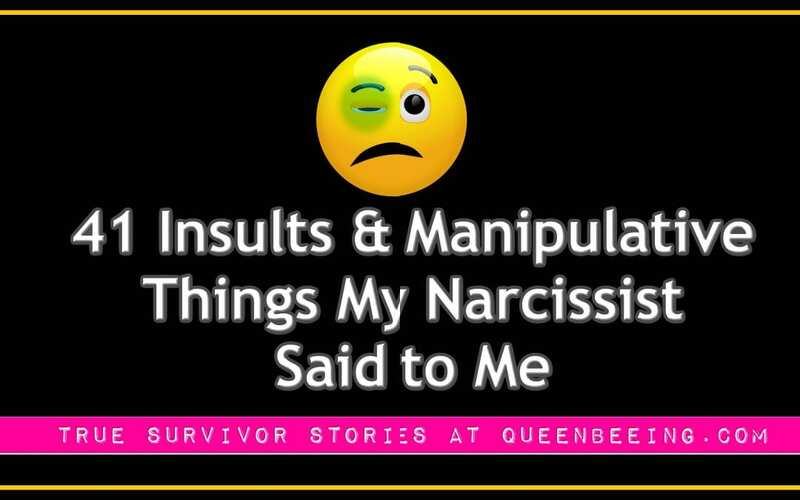 Because the narcissist’s inner voice is so toxic, they truly don’t feel comfortable until they believe they are the victim in a real-life situation. They have to make real-life match their toxic inner voice. Their need to play the victim is so intense that they will create situations that make no sense to anybody else. As the narcissist is creating these situations to ensure they’re the victim, the problem at hand is easily forgotten about amongst the chaos. Playing the victim is a manipulation tactic used by narcissists. Two of the most important things to know about narcissists is they lack empathy and will put themselves first in any given situation. What to know about narcissistic child abuse: it is invisible, it is nearly impossible for the victim to explain, and it is handed down from one generation to the next. It is a toxic legacy. Many scholars consider pathological narcissism to be a form of depressive illness, according to “Psychology Today”. The life of the typical narcissist is, indeed, punctuated with recurrent bouts of dysphoria (ubiquitous sadness and hopelessness), anhedonia (loss of the ability to feel pleasure), and clinical forms of depression (cyclothymic, dysthymic, or other). This picture is further obfuscated by the frequent presence of mood disorders, such as Bipolar I (co-morbidity). The narcissist’s personality is disorganized and precariously balanced. He regulates his sense of self-worth by consuming Narcissistic Supply from others. Any threat to the uninterrupted flow of said supply compromises his psychological integrity and his ability to function. It is perceived by the narcissist as life threatening. This is the narcissist’s depressive reaction to the loss of one or more Sources of Narcissistic Supply or to the disintegration of a Pathological Narcissistic Space (PN Space, his stalking or hunting grounds, the social unit whose members lavish him with attention). Deep and acute depression which follows the aforementioned losses of Supply Sources or a PN Space. Having mourned these losses, the narcissist now grieves their inevitable outcome the absence or deficiency of Narcissistic Supply. Paradoxically, this dysphoria energizes the narcissist and moves him to find new Sources of Supply to replenish his dilapidated stock (thus initiating a Narcissistic Cycle). The narcissist’s firmly, though counterfactually, perceives himself as omnipotent, omniscient, omnipresent, brilliant, accomplished, irresistible, immune, and invincible. Any data to the contrary is usually filtered, altered, or discarded altogether. Still, sometimes reality intrudes and creates a Grandiosity Gap. The narcissist is forced to face his mortality, limitations, ignorance, and relative inferiority. He sulks and sinks into an incapacitating but short-lived dysphoria. Deep inside, the narcissist hates himself and doubts his own worth. He deplores his desperate addiction to Narcissistic Supply. He judges his actions and intentions harshly and sadistically. He may be unaware of these dynamics but they are at the heart of the narcissistic disorder and the reason the narcissist had to resort to narcissism as a defense mechanism in the first place. This inexhaustible well of ill will, self-chastisement, self-doubt, and self-directed aggression yields numerous self-defeating and self-destructive behaviors from reckless driving and substance abuse to suicidal idealization and constant depression. It is the narcissist’s ability to confabulate that saves him from himself. His grandiose fantasies remove him from reality and prevent recurrent narcissistic injuries. Many narcissists end up delusional, schizoid, or paranoid. To avoid agonizing and gnawing depression, they give up on life itself. There are no victims here, only warriors of truth.